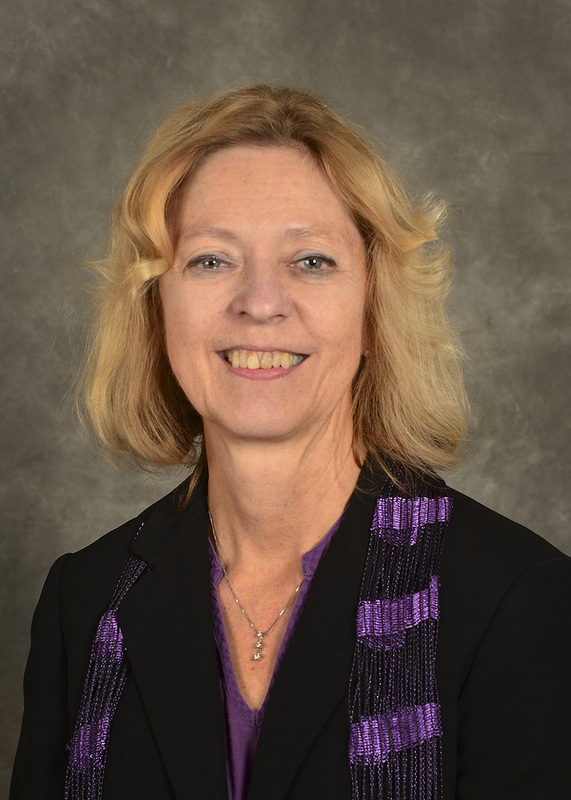 Dr. Pauline Sampson was named dean of research and graduate studies at Stephen F. Austin State University during the university's Board of Regents' meeting Tuesday. NACOGDOCHES, Texas - Dr. Pauline Sampson was approved as dean of research and graduate studies by the Stephen F. Austin State University Board of Regents Tuesday. As professor of secondary education and educational leadership and a member of the graduate faculty in the James I. Perkins College of Education, Sampson has served on 83 dissertation committees and chaired 46 dissertations. She has served as chair of SFA's Institutional Review Board since 2011 and has worked with many SFA stakeholders across campus. In addition to her own strong record of research, Sampson has administered a variety of grants and understands the importance of grant funding for developing and supporting new campus initiatives. "I have no doubt Dr. Sampson will be successful in this newly created role to oversee the Graduate School, to support the professional development of graduate students and faculty through the Office of Research and Graduate Studies, and to strengthen opportunities for mentored undergraduate research and creative discovery at SFA," said Dr. Steve Bullard, provost and vice president for academic affairs. Regents named Dr. DawnElla Rust, professor of kinesiology and health science at SFA, as the university's 2018-19 Regents Professor, an honor reserved for exemplary community and university role models and the highest honor SFA bestows upon faculty members. During Tuesday's regents meeting, two longtime SFA professors were named professor emeritus. Alan Sowards, who retired in 2017 following 22 years of service to SFA, was named professor emeritus of elementary education. Sowards is known for his work in creating the renowned Bugs, Bees, Butterflies and Blossoms program that brings thousands of elementary students from East Texas to the SFA gardens to learn from SFA students seeking a degree in the field. Michael Pickard, who served SFA for 25 years and retired in 2017, was named professor emeritus of computer science. During his time at SFA, Pickard held the ranks of assistant and associate professor, professor, and chair of the Department of Computer Science. To professor - Michelle Williams, elementary education; David Campo, music; Lauren Selden, art; Court Carney, history; Steven Marsden and Kevin West, English and creative writing; Sudeshna Roy and Juan Carlos Ureña, languages, cultures and communication; and Matthew Beauregard and Kent Riggs, mathematics and statistics. To associate professor - Nikki Shoemaker, accounting; Justin Blount and Carol Wright, business communication and legal studies; Adam Akerson, Lauren Burrow and Deborah Williams, elementary education; Gina Causin and Hyunsook Kang, human sciences; Kathy Sheriff, human services; Candice Hicks, art; Steven Estrada, psychology; Donald Gooch and Milton Hill, government; Andrew Lannen and Brook Poston, history; John Mehaffey, agriculture; Erin Bailey, Della Connor and Tamara Harris, nursing; and Daniel Bennett, biology. Faculty approvals include Kimberly Deaton as assistant professor in the School of Nursing and Jack Heifner as visiting professor of theatre in the College of Fine Arts. In research and instructional services, regents also approved the appointments of Janie Richardson, librarian II; Edward Iglesias, librarian III; and Tina Oswald, librarian IV. Staff appointments approved for the Department of Athletics included Kevin Barbay, Jeffrey Bowen and Daniel Clark, assistant football coaches; Nicholas Guerra, assistant track coach; and Ashley Schevers, assistant soccer coach. In the Arthur Temple College of Forestry and Agriculture, regents approved Dustin Black, beef farm supervisor; and Henry Still, broiler research center supervisor. Tuesday's meeting also included staff appointments for Kathryn Blevins, coordinator of campus recreation; Cristin Crofford, accountant II in the controller's office; Bonnie Ryan, physician assistant in health services; Anthony Espinoza, chief information officer; and Miguel Najera, hall director in residence life. Changes of status approved in the controller's office were Eric Ashworth, from accountant III to assistant controller; Renea McDaniel, from payroll specialist to payroll manager; and Jacob Seamans, from accountant II to accountant III. In the Department of Residence Life, the board approved the following changes of status: Heather Burns, from hall director to area coordinator; Carla Chumley, from business supervisor to administrative supervisor; and Donna Hammond, from residence life specialist III to manager of residence life assignments. Additional changes of status approved include Jessica Mayol, from assistant athletic trainer to athletic trainer in athletics; Abigail Meyers, from aide to teacher in the early childhood laboratory; Katie McClain, from human resources representative to analyst in human resources; and Laura Turner, from coordinator of support services to budget analyst in university affairs. Regents granted tenure to 21 faculty members, including Nikki Shoemaker, accounting; Justin Blount, business communication and legal studies; Adam Akerson, Lauren Burrow and Brandon Fox, elementary education; Scott Bailey, secondary education and educational leadership; Gina Causin, human sciences; Suzanne Maniss, Raul Prezas and Kathy Sheriff, human services; Candice Hicks, art; Steven Estrada, psychology; Donald Gooch and Milton Hill, government; Brook Poston, history; John Mehaffey, agriculture; Erin Bailey, Della Connor and Tamara Harris, nursing; Matthew Beauregard, mathematics and statistics; and Daniel Bennett, biology. Nathan Nabb from the School of Music, Matthew McBroom from the Arthur Temple College of Forestry and Agriculture, and Linda Post from the School of Art were granted faculty development leave for fall 2018. Faculty development leave also was granted to Keith Hubbard of the Department of Mathematics and Statistics and Matthew Kwiatkowski of the Department of Biology for spring 2019. The board approved retirements of faculty and staff with 100 years of combined service to the university: Fred Allen, director of bands; Mary Nelle Brunson, associate provost and vice president for academic affairs; Susan Clarke, librarian IV; Dalyce Franks, assistant director of accounting operations; and Ray Robberson, manager of building trades and mechanical maintenance for physical plant.